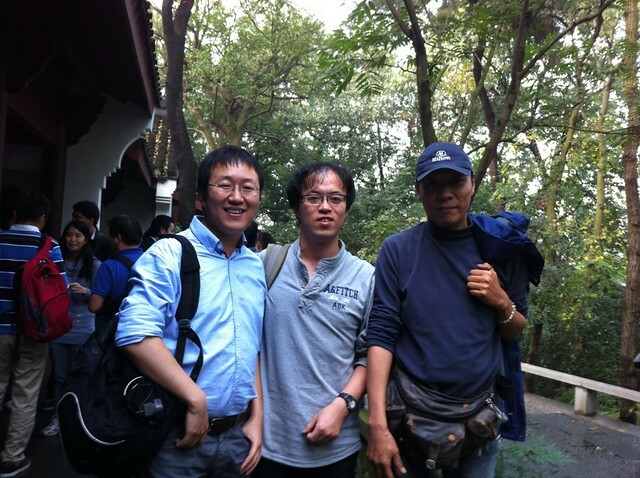 Finally, one of the three very similar Chinese IT bloggers got into the same photo, for the first time. It is also my first time to meet Yifeng in person. When foreigners enter a difference country, they feel the culture shock. However, I found out that even in China, I sometimes feel the culture shock myself, from time to time. China is large, and China differs a lot from region to region. The recent trip to Xi’an is pretty shocking in some ways – how people see entrepreneurs, and how people value their fixed income jobs – very different from Shanghai. China is as big as an Europe, and the diversity is maybe at least as big as the european countries. There is no such a thing called China. It consists of so many provinces. The place I grew up – Luoyang, is very different with, even the neighboring cities, no to mention the cross province contrast. What system means? It is the government and the party system. It is a very strong system with a very strong culture. I was completely shocked from time to time when I deal with the system. Something we care, they don’t. Something we don’t care, they care a lot. For example, I was consistently educated by the government guys when we meet. They told me I should bring a notebook, and the book I brought the second time is too small to show respect. They complained the table to host the government guys were too small, and claimed that we should have the budget to buy bigger tables. Things like this. The more I see this world, the more I understand that culture shock is just part of this universe. Even in the relatively more melted culture like Silicon Valley, the culture shock between relatively very similar companies in the same industry is big enough – look at current Yahoo! v.s. Google v.s. Facebook v.s. Twitter – they are so different and I assume people transiting from one company can find it hard to fit into the other. This can be universal, and long lasting.